BOO Bureau Of Otherworldly Operations is the super classified agency you’ve never heard of and certainly never seen. 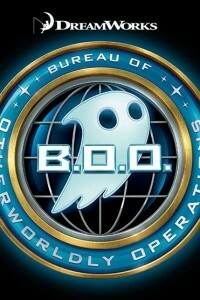 Dedicated to protecting humans from evil hauntings, the agents of B.O.O. have a secret weapon: they are ghosts themselves. When newbie agents Jackson Moss (Seth Rogen) and his odd-ball partner Watts (Melissa McCarthy) uncover a plot to destroy B.O.O. by the agency’s Most Wanted Haunter, they must use every trick in their arsenal to defeat his powerful ghost army and save Earth from a ghostly fate. The film was originally set to be released on June 5, 2015 by 20th Century Fox, but it was removed from the studio’s release schedule with a replacement date yet to be announced. We’re guessing it will either arrive in 2020 or never. Stay tuned.